We are a 4 year old professional photography services company, specializing in Candid Wedding, Rajasthani Wedding, Gujarati Wedding, Jain Wedding, Christian Wedding, Marwadi Wedding, Couple Portraits, Reception, North Indian Wedding, Engagement, Punjabi Wedding, Theme Wedding, Pre-wedding Shoots, South Indian Wedding, Bengali Wedding, Muslim Wedding, Destination Wedding, Kashmiri Wedding, Catholic Wedding, Bhojpuri Wedding, Maharashtrian Wedding, Bridal Portraits, Concept Wedding, Indian Wedding, Tamil Wedding, Sikh Wedding, Buddhist Wedding, Brahmin Wedding, Hindu Wedding, Wedding, Graduation Ceremony, Birthday, New Born, Kindergarten, School Events, Kids Portraits, Babies & Kids, Portraits, Model Portfolio, Show & Pageant, Celebrity & Glamour, Fashion & Portfolio, Advertising, Documentary, Sports, Interiors & Architecture, Industrial Shoot, Automobile, Photojournalist, Art & Culture, Aerial, Product Shoot, Stock, Food, Commercial, Anniversary, Maternity, Convocation, Housewarming and Special Occasion photography. We offer products and services such as Blueray Disc, Frames, Montage, Coffee Table Book, Shortfilms, Cinematography, HD Videos, Documentary, HD Highlights, Live Streaming, Photobook, T-Shirt, CD / DVD, Coffee Mug, Brochure, Calendar, Lamination and Promo Videos. We accept customized photography requirements. Our studio is in Puducherry. We cover events in Puducherry and All Over India. We are comfortable communicating in English and Tamil. 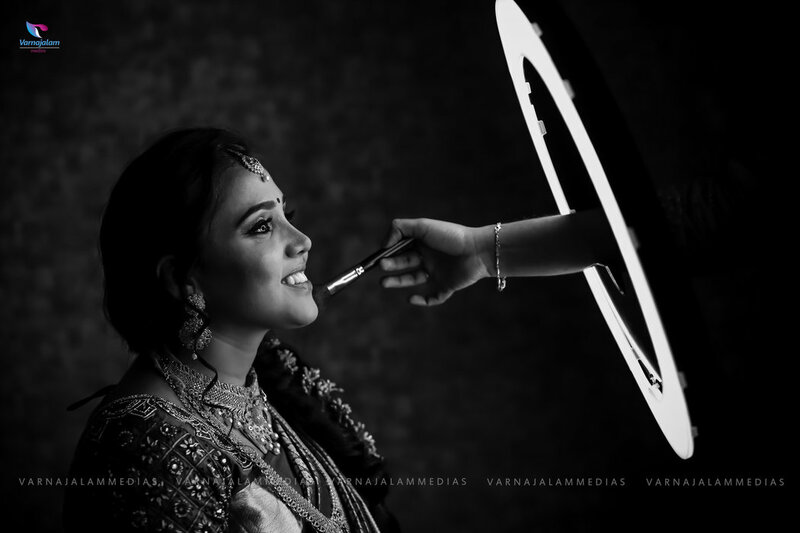 Our marriage pics and videos and shoots captured by this people are awesome and done a great job and the output from them show they are strong in their professional.. Excellent works guys......Good innovative skills........Much talented photographer.....Already i have booked twice both i have satisfied there work ..... Especially they are very friendly and fun filled groups.....People must try there ....I satisfied and recommended 100 percent..
We absolutely love all the photos - they are incredible!! You have serious talent and we were so excited to see them all and re-live what was the best day of our lives. We are so happy with them. Thank you for going above and beyond on our wedding day. You were so relaxed and friendly, making us feel very comfortable posing for photos! It was such a pleasure to work with you. We really enjoyed the locations you took us to - we LOVE the barn shots and of course that solo palm tree looks amazing! We really appreciate the extra time you stayed at the reception and captured some great dancing shots. We are so pleased with our photos - you have an incredible eye for a great shot! I will definitely recommend you to friends getting married." Your message was successfully sent to Varnajalam Medias. The Photographer may contact you soon.